How do I use the Notebook tool? Click the Tools button in the upper right of your webtext, and then click Notebook. You’ll see an overview by chapter of the work you’ve completed. Dark orange squares with a checkmark or a number score mean you’ve completed everything on that page. Light orange squares mean you’ve completed some, but not all, of the questions on that page. A grey square with a line means you haven’t completed anything yet. 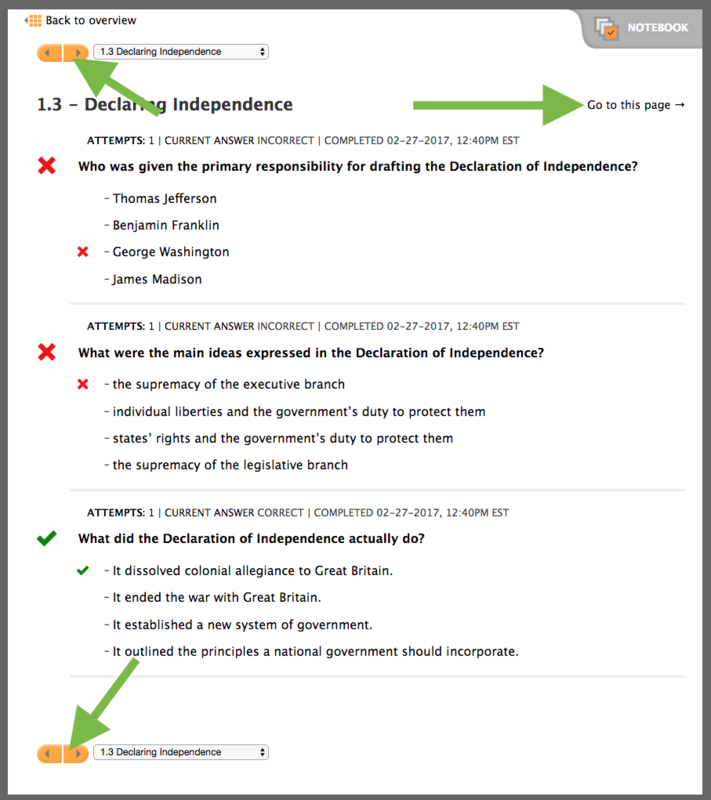 If you hover your mouse over an orange square, you can see details like the number of questions you answered correctly. If you click on an orange square, you can see details for that page. You can click the arrows to go from one page to the next. Or you can click the “Go to this page” button to land on that page in the webtext.